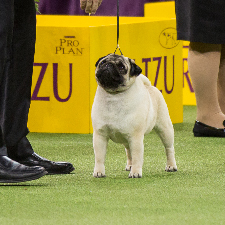 Biggie the Pug won the Toy Group at Westminster in 2018. Photography by Kayla Bertagnolli. Because they have a flat muzzle and are a brachycephalic breed, Pugs tend to snort, snore and wheeze when fluid gets caught under their palate. These situations usually sort themselves out. Their wrinkles need to be cleaned regularly, since they gather debris. 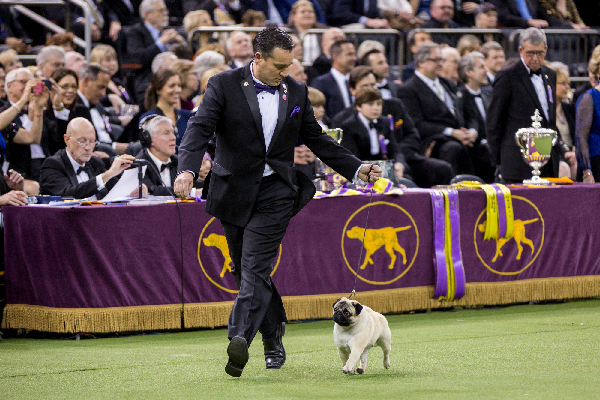 Get to Know the Pug: A Lot of Dog in a Little Space!